Going on holiday means holiday clothes of course! There are beaches and warm weather in Hong Kong for me to wear these sorts of clothes sometimes, but going away to a tropical island just makes them even more appropriate. 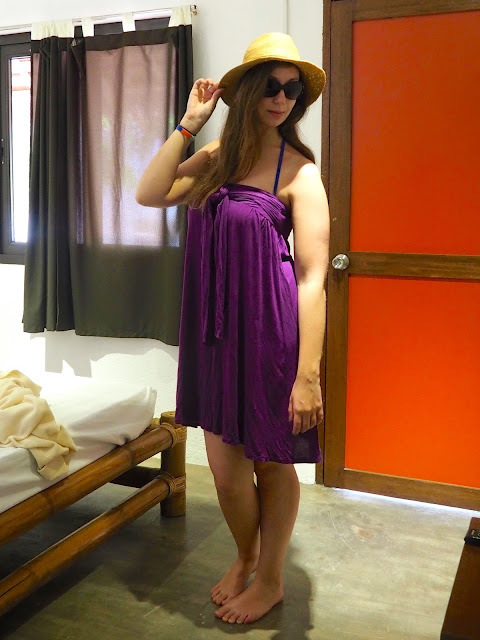 I've got a bunch of summer dresses to share over the next while, but for now, this is my cover-up dress, for throwing on over my bikini, especially when it's still damp from the ocean. You can wear it as a skirt or dress, and tie the ribbons in various ways, but this is my preferred style. It's just a light, easy solution, and I don't really care how much sand and salt get into it. 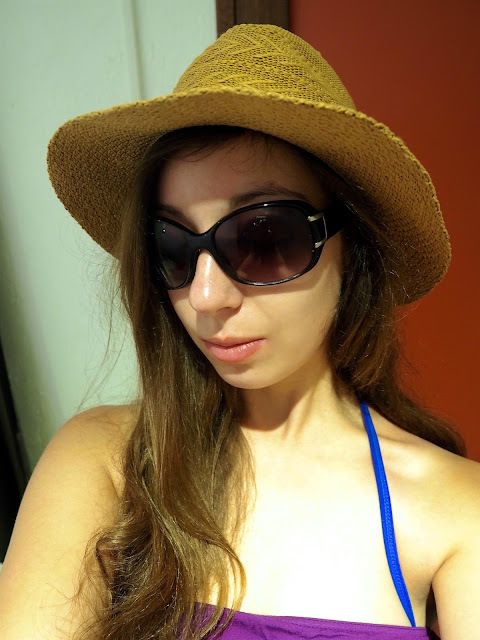 A hat and sunglasses are musts for me at the beach, and these were both recent purchases as my last ones were pretty beat-up (hat) or broken (sunglasses). I like brimmed hats, but not too wide and floppy, and bigger sunglasses, as you can see. Barefoot is my preference for on the sand, but these are my sandals for actually getting to the beach and back.